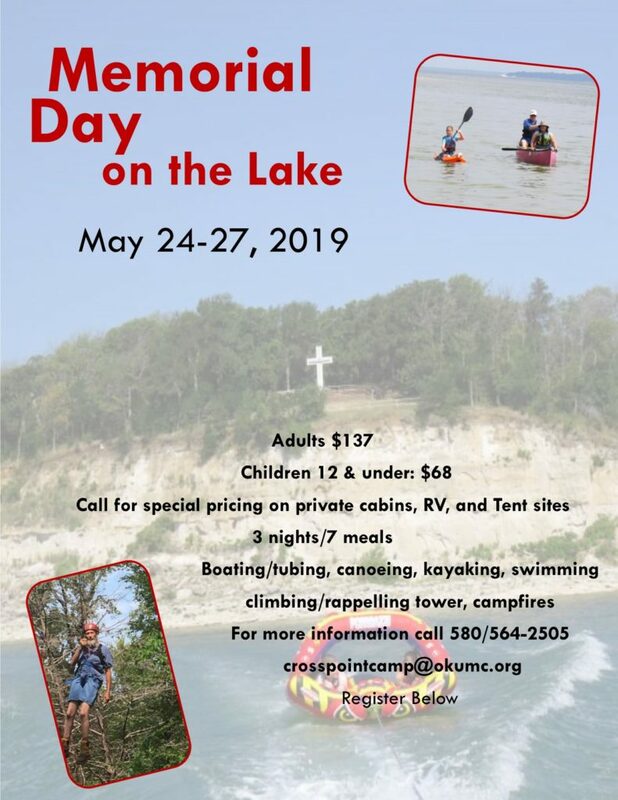 You will enjoy the beauty and solitude of this special campsite, especially the serenity of the glowing cross at the amphitheater overlooking Lake Texoma. Our staff is here to serve Christ by serving you. 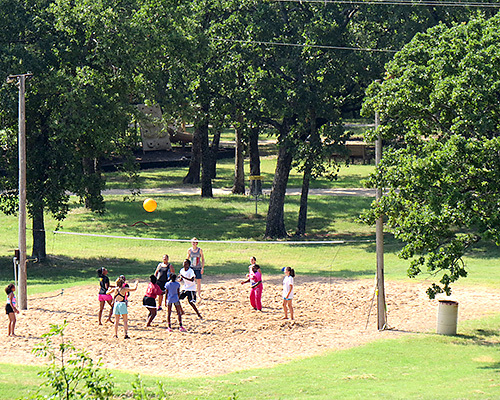 Youth, adults, families, schools, churches, and other organizations enjoy this special place. 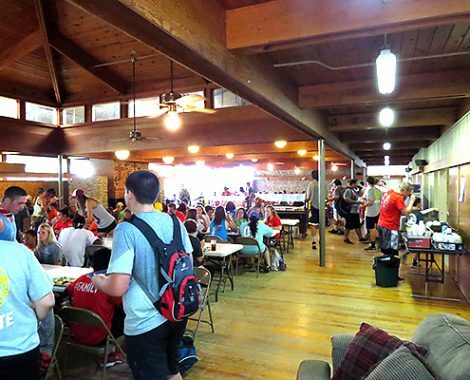 Camp capacity is approximately 320. Please call the office with any questions, 580-564-2505. Office is open weekdays. 12 cabins, each with two sleeping rooms separated by a dorm-style bathroom. Each cabin has 20 beds. 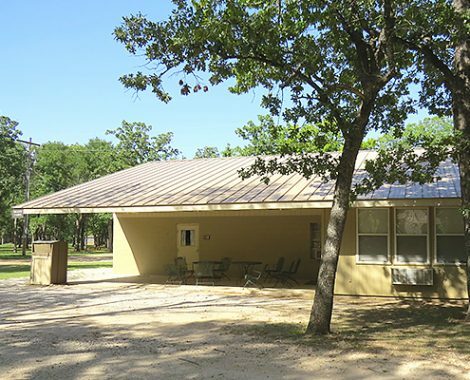 Lawton cabin has two rooms, each handicap friendly. The meeting rooms have 2 bathrooms, refrigerator, sink, microwave, coffee maker, cushioned chairs, tables and a video projector. 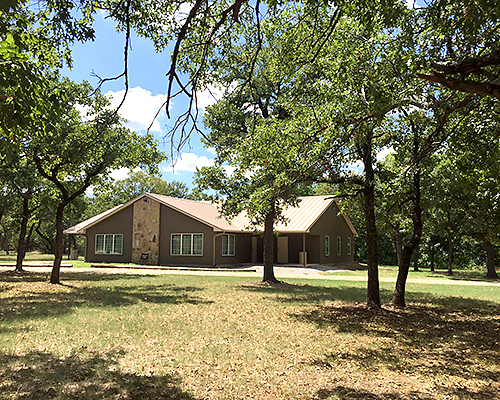 A two bedroom cabin with large living area with reclining sofa, love seat, and chair, computer desk, tv, sink, two refrigerators, microwave, coffee maker, tables and chairs. One bedroom has a queen bed, sink, toilet, shower, the other bedroom has two twin beds, sink, toilet, shower. 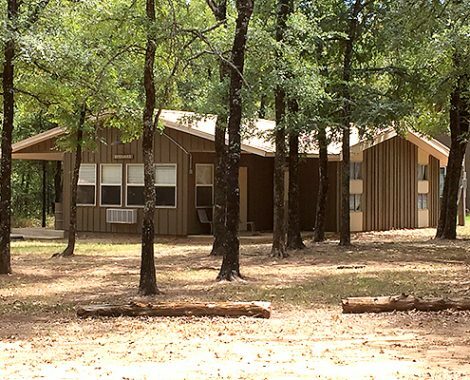 Two bedroom cabin, one room-queen size bed, one room-two twin beds with one bath. 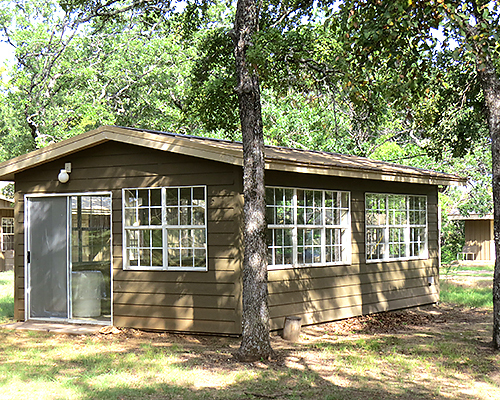 Cabin has small kitchenette, dining area, and large living area with couches, chairs, and hide-a-beds. We take pride in offering a variety of meeting room options to meet your groups needs. Capacity to serve 250 people. The dining room is on the upper level with a ground level entrance featuring a large fireplace and piano that overlooks the lake. The lower level has three classrooms, two of which can be opened into a larger room. 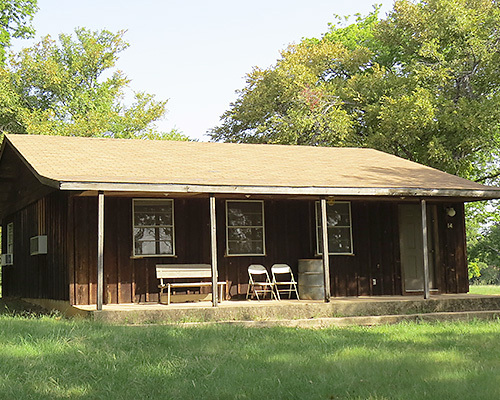 Seven enclosed meeting rooms, and a meeting room attached to Ardmore, Woodward, and Lawton cabins. 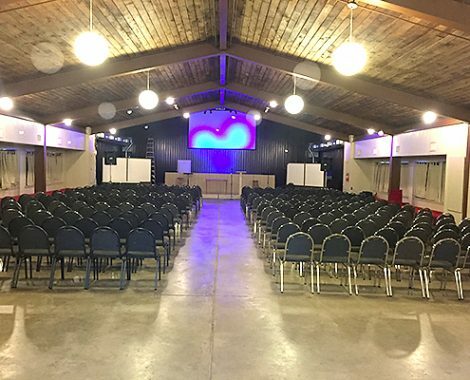 The two new cabins each have an attached meeting room. Three rooms in basement of Dining Hall. Fully enclosed building with restrooms and piano. Equipped with sound system, mounted projector, and screen. Room dividers are available. 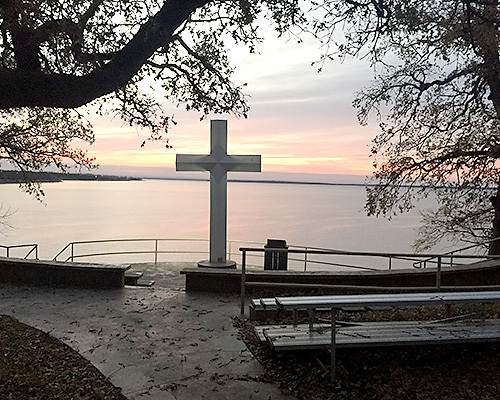 Outdoor meeting space with large lighted Cross overlooking Lake Texoma. Level stage area, handicap friendly ramp, and electrical access. 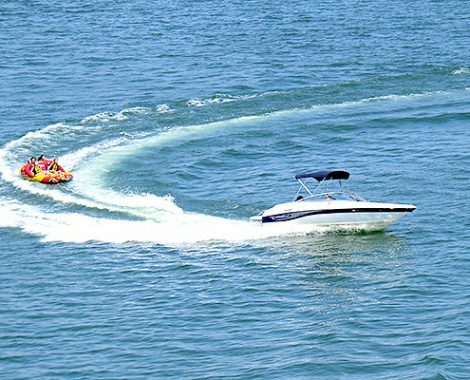 Sandy lakefront with boat dock; swimming, fishing, canoes, kayaks, paddleboats, ski boat for tubing, and other water toys. Or bring your own if you like. 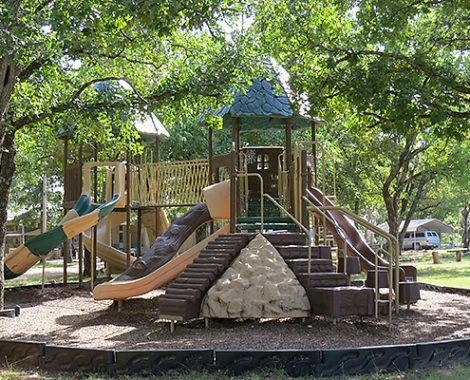 The campsite has trails that will guide you through this scenic wooded landscape. 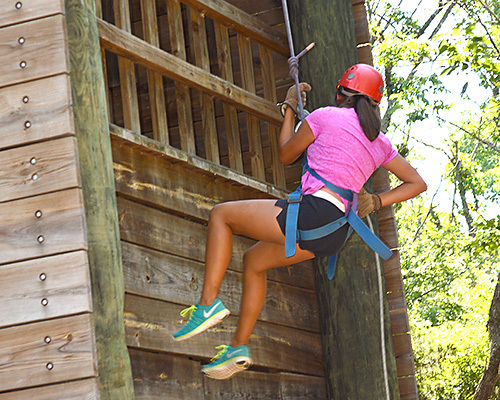 Six story tower with 2 climbing sides and 2 rappelling sides. Also a giant swing from the third floor. 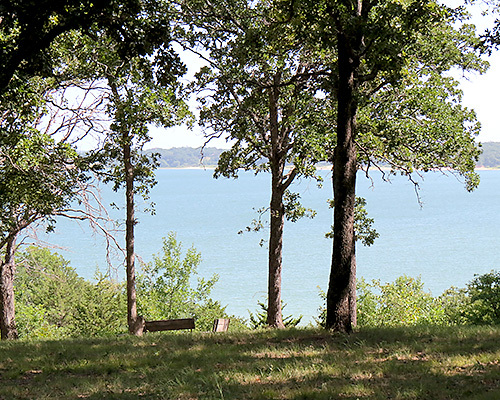 Stairway to the top provides a great view of Lake Texoma and is a great meditation spot. Camp facilitators required. The course has 14 low elements and 13 high elements. There is also a “power pole” and High Bonus Elements of 2 Giants Ladders and Vertical Junkyard. Camp facilitators required. 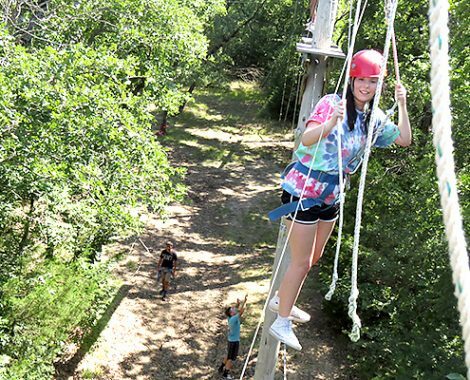 © 2019 OKUMC Camps. Design by Columba Collaborative.